After many hours, days and weeks of architecture development, PCBs routing, FPGA and microcontroller programming, we are proud to announce a new DAC platform we call CZAP. It was created to push the limits of digital to analog conversion, deal with all potential sources of noise and distortion and maintain the most transparent signal path in digital as well as analog domain. 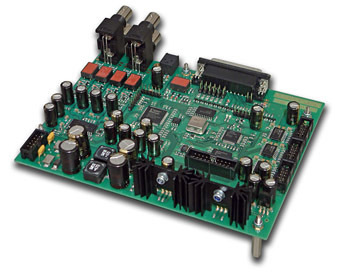 The digital processing and the DA system, usually occupying few square inches on a board, spans over two large four-layer boards and utilizes almost two thousand components. All the unique technology we have developed over the last 8 years has emerged in this project. The core of the platform consists of two boards. 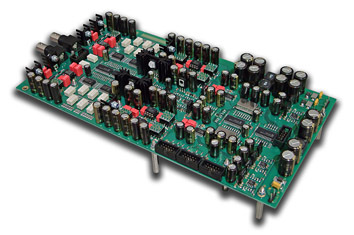 The "digital" board is loaded with various digital inputs and synchronization outputs, an FPGA with vast computational power for signal processing, powerful microcontroller and galvanic isolation towards the "analog" board. 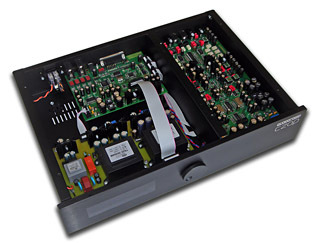 The "analog" board carries the DAC chips, low jitter tunable oscillators, analog signal processing circuitry and our unique hybrid volume control system. All power regulators on the board are ultra low-noise discrete type and there are 16 of them in total. 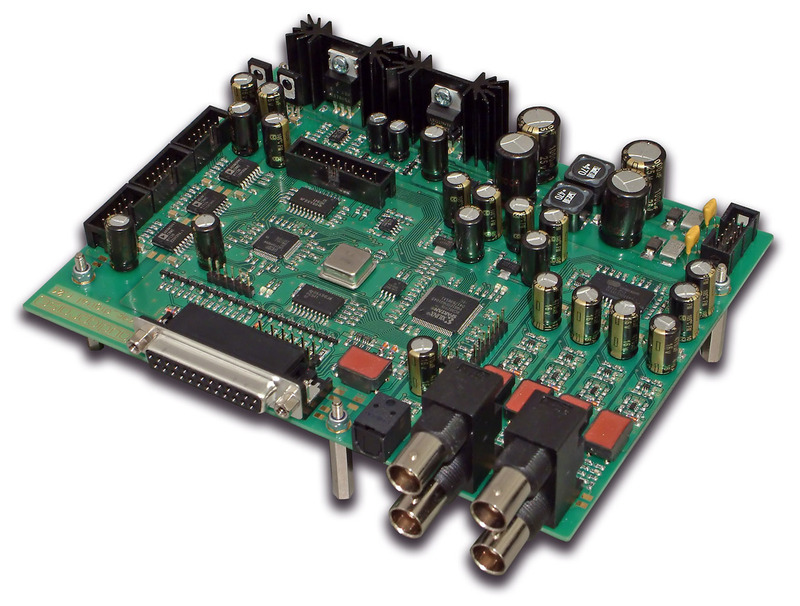 These two boards create a complete high-performance digital to analog conversion system when combined with a power supply and user interface system. These are the limiting values of the recording device, the real performance is expected to be significantly better. The sound is absolutely natural and transparent, just as a state-of-the-art system can provide. 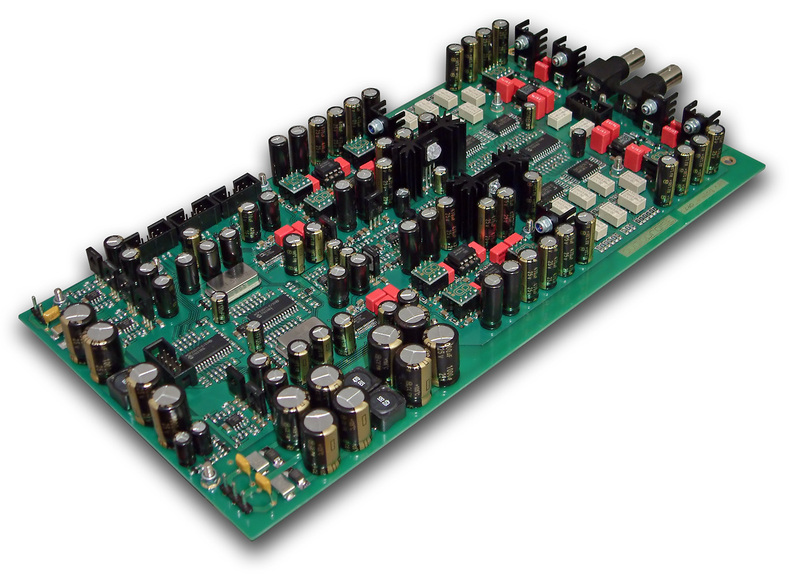 The platform or any of its part is available primarily to audio electronics manufacturers. Both boards are highly configurable and detailed specifications can be provided upon request. Should you have any questions, please feel free to discuss it here. The prototypes will be available for audition in the United Kingdom and Czech Republic. Edited 6 time(s). Last edit at 06/02/2017 11:59PM by AP. * DSD: 64/128 Fs is impressive! Audiopraise CZAP will join HI-END Show Prague 2013 5.-6. 10. 2013 as a part of Xavian presentation in the meeting room ODER. Don't forget to try different digital filters and hear the difference yourself! Edited 1 time(s). Last edit at 06/03/2017 12:02AM by AP. Hi all, some news regarding the CZAP. - We have developed and implemented a new upsampling filter algorithm which doesn't use zero stuffing. This new technique relaxes the filtering requirements and also allowed us to add Non-Oversampling option. There are now 4 filter characteristics available. These include a traditional linear phase SHARP , our proprietary "no-ringing" FLAT, carefully designed MINIMUM PHASE and unique NOS (Non-Oversampling). Also the precision of the upsampling engine has been increased to 66bit accumulator. - New filter characteristics have been added to the DSD to PCM conversion engine as well. The new filters use linear and minimum phase response and they are different for DSD64 and DSD128. The user now has greater control over the residual ultrasonic DSD noise. Also the DSD to PCM conversion filters have increased precision. - The headroom for inter-sample peaks for PCM material has been increased to 3dB and PCM now 100% matches the DSD signal levels. - A galvanically isolated asynchronous USB interface module has been added. With the native galvanic barrier between the digital and analogue section of the CZAP there are two isolating barriers between a computer and the analogue output. 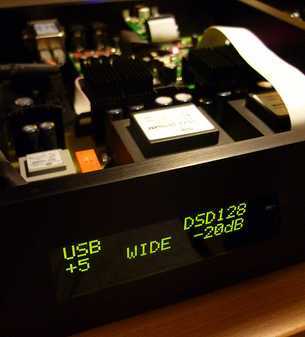 The USB interface supports all PCM and DSD sampling rates. - Full set of measurements " Stereophile style" using industry standard test equipment will appear here and on our main web pages soon. Edited 7 time(s). Last edit at 06/03/2017 12:07AM by AP.